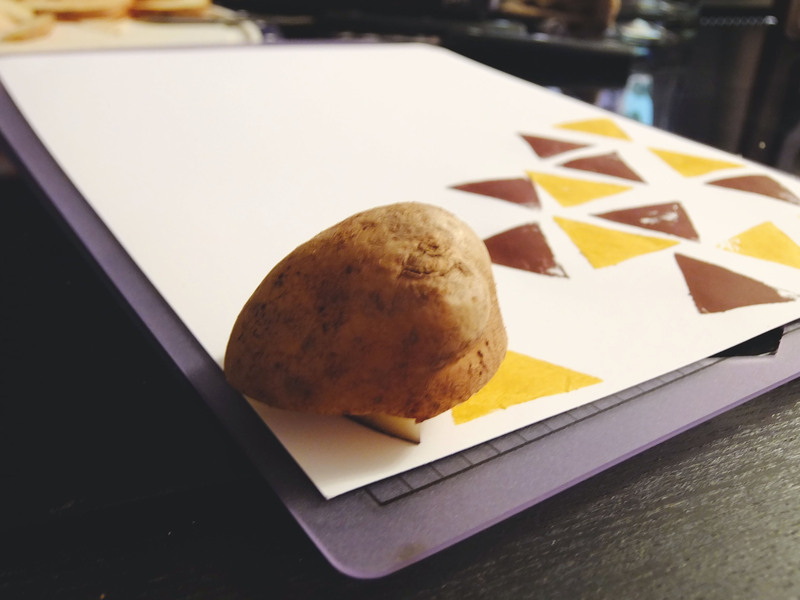 Although they are a great kiddo craft idea, potato stamps are also really fun for adults who are interested in creating fun prints and patterns. I love using them for creating my own artwork, gift wrap, and cards. I have seen a couple project ideas online for using them to stamp fabric, but before branching out that far, I decided to get comfortable with some techniques and tricks for creating a solid potato stamp. 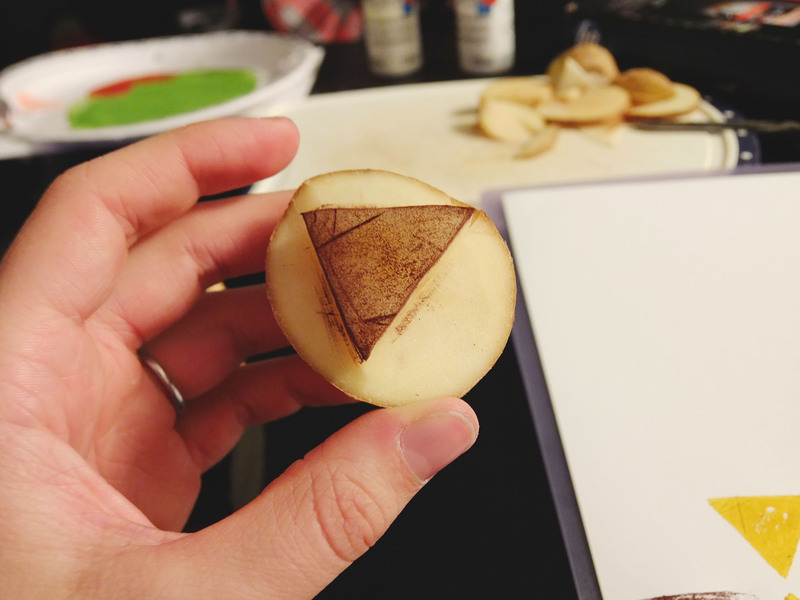 Creating your stamp | For cutting my potato, I just went at it, hacking away until I got the shape I wanted. If you’re not comfortable using this method, I recommend taking a cookie cutter and pressing it into the potato before cutting around to take the access off. 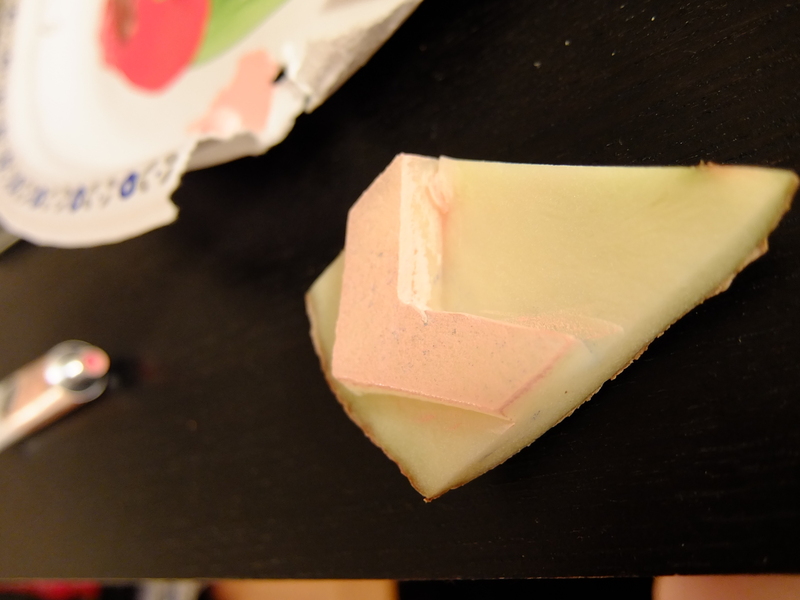 For best results: Try to create a smooth and even surface. For this reason, I used a paring knife instead of a ridged knife (i.e. a steak knife). 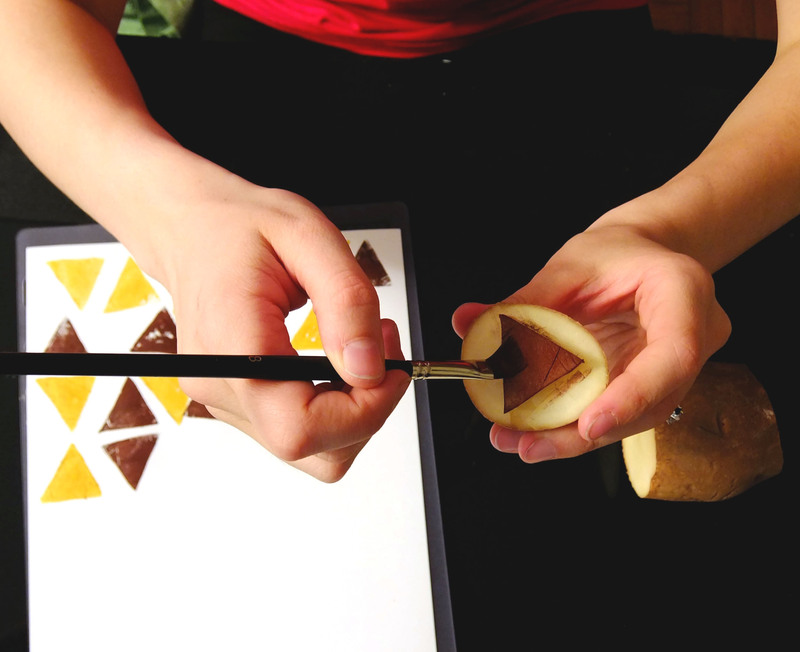 Painting your stamp | Once you have your potato stamp ready, it’s time to paint the surface. I recommend using a paint brush to transfer the paint from the dish to the stamp, as trying to use the paint as some sort of stamp pad just didn’t work (the water in the potatoes made the paint very runny). 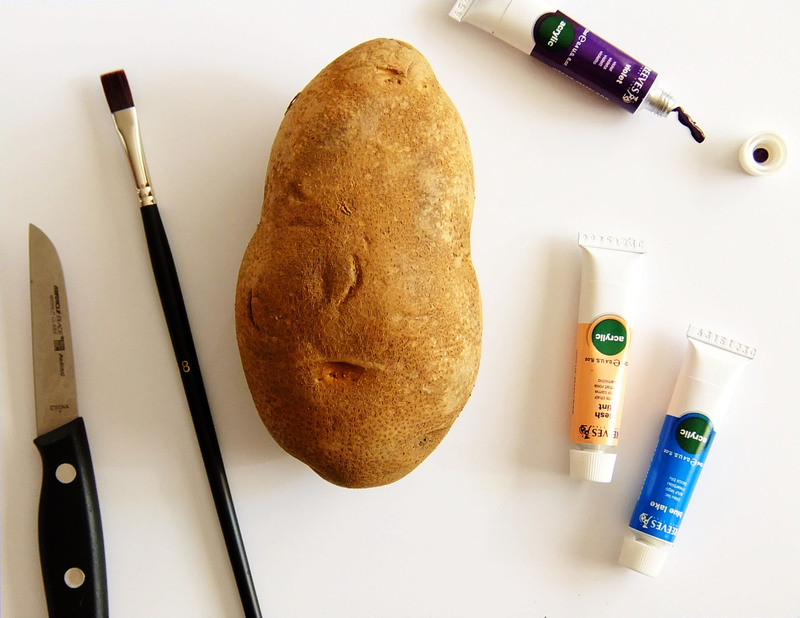 For best results: Simply dip the paintbrush in the paint and brush on the potato. Stampin’ Time | Now that your stamp is ready, it’s time to stamp away. For best results: apply pressure on different parts of the potato before slowly peeling off the page. And that’s it! Easy Peasey! Try out different shapes, colours and surfaces, and you’re set! White is your friend | I found that my creations with lots of white space turned out better than a full page of stamps. Try out different methods for yourself. Size matters | Smaller, solid shapes are much easier to print with than larger, more complicated ones. Don’t be afraid to start with the basics before moving up. 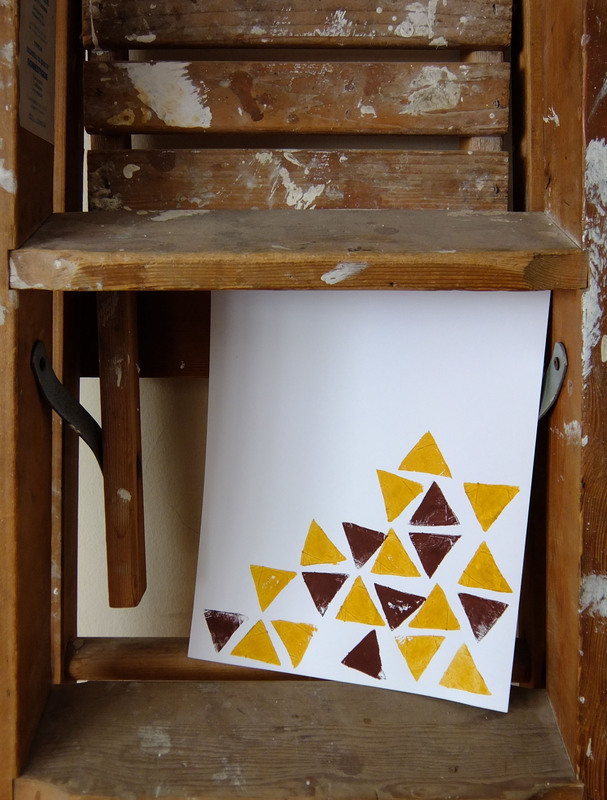 Don’t be afraid of texture | Triangles are really hard to cut, which is why there were some leftover cut marks on my triangle print. I was going to re-do the stamp before I saw how the added marks made for a unique texture that I really liked. Stamp, Rinse and Repeat | The awesome part about potato stamps is that they’re washable! Re-use the same stamps with different colours for compelling projects. Limited edition | Each potato stamp is a limited edition, once-in-a-lifetime stamp. Make sure to finish your project before it dries up!